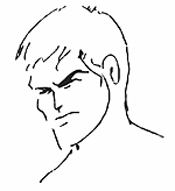 BRUCE LEE ONCE did two simple drawings of himself to illustrate the two sides of his life and work. In the first, he pictured himself as a square-jawed action hero, looking as he would at the height of his fame as the world’s supreme martial arts movie star and most-recognized face on the planet. 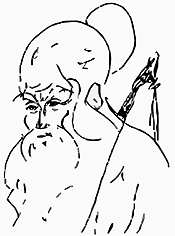 In the second, he pictured himself as a Taoist sage — a wise teacher. My best-selling biography Fighting Spirit tells the story of the ‘first’ Bruce Lee — his rise to stardom and his great achievements as a trailblazing martial artist. My new book — Beyond the Limits — reveals the ‘second’ Bruce Lee by using his own words to prove beyond doubt that he wasn’t simply teaching a fighting method, or promoting his worldly ambitions, but presenting a revolutionary means of self-transformation. Beyond the Limits shows how Bruce Lee’s teaching works on a very practical level — not only for martial artists, but for everyone — while offering us ways to fulfill our greatest potential. Bruce Lee taught in the language of his culture and tradition – Taoism. But he was also a modern man and didn’t believe in tradition for its own sake — and so he often included ideas from the emerging science of quantum physics in his lessons and essays. Remarkably, he even anticipated some of the most exciting breakthroughs happening in biology today. 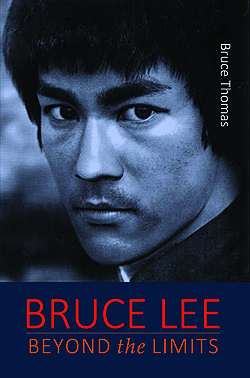 This book really does go far beyond the limits of anything that’s ever been presented on Bruce Lee’s life and work. Packed full of inspiring new insights into what motivated his whole life, it explains his true legacy and greatness. You will see Bruce Lee in a whole new light.